GEAR BAGS AVAILABLE AT CENTER POINT! 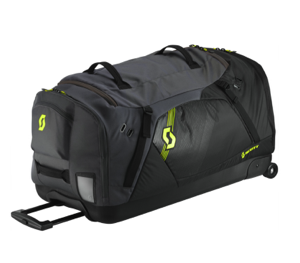 The SCOTT Bag Gear Duffle allows you to easily carry around your gear. With skateboard wheels and a telescoping handle, traveling will no longer be a hassle. The Duffle can stand by itself horizontally and additional features are a concealed zipper pocket, a pull out mat to stand on and enough compartments and pockets for storage. The SCOTT Travel Softcase 40 features two separate compartments so that you can keep your belongings organized. The high quality shock absorbing wheels paired with a heavy duty aluminum side frame not only protect your luggage, but also let you conquer any obstacles or muddy terrain. With a volume of 40 liters this softcase is the perfect travel companion for shorter trips or to use as an extra carry-on bag. Intuitive organisation and robust materials are just some of the hallmarks of this iconic SCOTT travel case. When you are one the go and riding all over you don’t want to take up all the room with luggage. That is why Ogio has designed a perfect gear bag for those who travel and go riding. 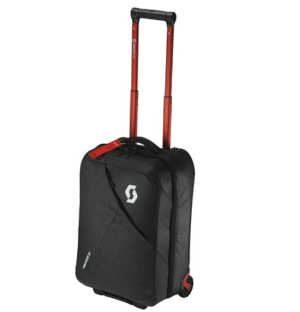 The Ogio Wheeled Hauler 9400 Gear Bag has a large main compartment with dividers that will help to keep your protection gear safe, organized and your clothing nice and clean. The hauler 9400 Gear Bag is easy to haul around with its two wheel roll and telescoping pull handle. 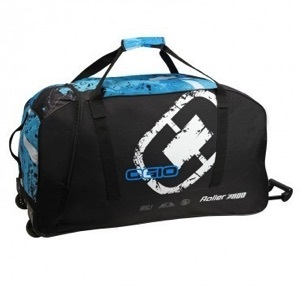 So when you are traveling to races the Hauler 9400 Gear Bag is perfect for you. 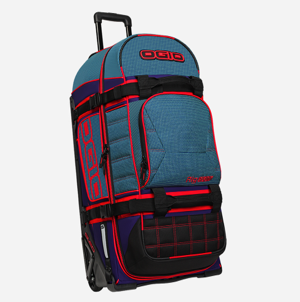 Ogio knows no matter where you are going, what you pack needs to stay protected. That is why Ogio is one of the leading brands in gear bags and travel bags today. 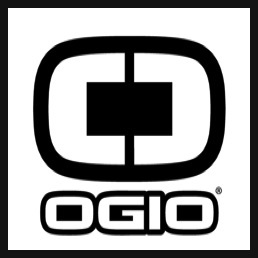 Ogio has designed a smaller motocross gear bag that is great for hauling some of the smaller items you will need for riding. 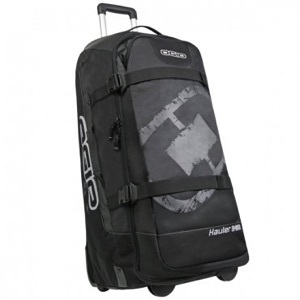 The Ogio Wheeled Roller 7800 Motocross Gear Bag easily stores away not taking up a lot of room. The Wheeled Roller 7800 Motocross Gear Bag will keep your gear safe and organized and will be perfect for you on the run.